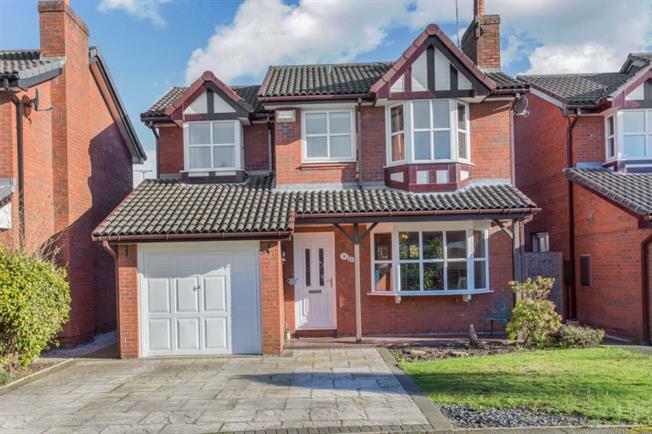 4 Bedroom Detached House For Sale in Stoke-on-Trent for Offers in excess of £255,000. This very well presented four bedroom detached property offers an abundance of space and further potential to create your forever home. Situated within walking distance is a bus stop, the village with all amenities, the local primary School which is minutes walk away and the High School. The property briefly offers; lounge/dining room, breakfast kitchen and utility, four good sized bedrooms, en-suite and family bathroom. Externally there is a private garden and garage and driveway parking to the front. Internal inspection is highly recommended.